Born in the impoverished Indian province of Bengal, Dr. Mani Bhaumik became a scientist and co-invented the laser technology that made LASIK surgery possible. Upon realizing that fame and fortune could not provide him with the abiding happiness that we all seek, Dr. Bhaumik began the search for a deeper understanding of spirituality. 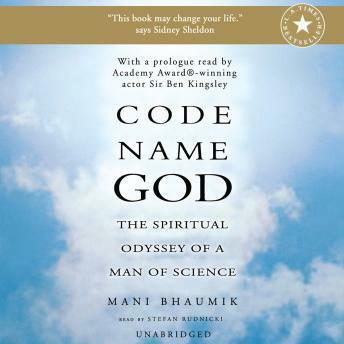 Code Name God chronicles the amazing life of a man who is from both the East and the West and invites us to join him on a cosmic dance across the vast expanse where God and the scientists, religion and faith, science and mysticism meet.